오늘 konkurrence- og forbrugerstyrelsen에서1차 면접을 보고 왔다. 여기에 center for vand이라고 수자원과 관련된 자연독점형 공기업의 규제를 담당하는 곳이다. 벤치마킹 분석을 통해서 관련 기업의 수익한도를 설정하고 경영효율화 가능 부분을 찾아 평가하고 규제하는 기능을 갖고 있다. 지역난방과 전기, 가스는 에너지국에서 모두 담당하는데, 수자원은 경쟁소비자국 산하에 수자원센터를 둬 여기서 관리를 하고 있는게 조금 생소했다. 면접은 여태까지 본 데 중에서 가장 기분이 좋은 곳이었다. 케미가 맞는 느낌이랄까? 내가 그런 느낌을 받은 것만큼 그쪽도 좋은 느낌을 받았나보다. 1차 면접자 5명중 내가 가장 마지막 면접자였다고 했는데 면접을 보고 30분 안에 합격 및 2차 면접 일정을 통보받았다. 일정 리스트를 보아하니 나를 포함 2명이 2차 면접에 든 것 같았다. (1차엔 타임 슬롯이 7개였는데 5명 초대했다고 했는데 2차엔 타임슬롯이 2개였다. 그러니 2명일 확률이…) 면접은 다음주 목요일. 그 전에 아이큐테스트와 인적성검사를 미리 집에서 봐야한다. 인적성검사와 아이큐테스트는 옛날 국민은행 입사할 때 15년 전에나 해본 건데… 그 사이에 머리가 많이 퇴보했을 것 같아 조금 신경이 쓰인다. 면접 내용은 뒤죽박죽으로 기억나긴 하지만, 내가 왜 오랜간의 경력을 뒤로 하고 새로운 공부를 해 커리어체인지를 하는지, 1개월간 했던 COWI에서의 프로젝트를 두고 그 경험에 대해서 어떻게 평가하는지, 전 직장에서 가장 어려웠던 점은 어떤 것인지, 그걸 어떻게 해결했는지, 수리적인 분석에 대해서 어떤 생각을 하는지, 관련 분야에 대해서 내가 얼마나 알고 있는지에 대해서 물었다. 그 밖에 기타 개인적인 성향이나석사논문 내용, 국민은행에서 했던 일에 대해서도 흥미를 갖고 수자원 기업의 투자 분석도 해당 부서의 새로운 업무 중에 하나거 될텐데 이런 일도 관심있는지에 대해서도 물었다. 또 하나 재미있던 질문은, 사실 내가 물어보고 싶은 것과도 관련있었지만, 내 덴마크어와 관련된 거였다. 경제적 분석을 하고 글을 써야 하는데, 덴마크어로 글을 쓰는 것에 대한 내 감정이 어떤지를 물었다. 영어와 달리 쓴 것을 다시 읽어보면서 틀린 것을 찾고 교정할 때, 완전히 다 잘 고쳤는지 확인을 했다는 확신을 갖기가 어렵다. 그래서 실수 없이 글을 쓰기까지는 시간이 걸릴 것 같다고 답을 했더니, 덴마크 사람도 글을 쓰면 실수를 하고, 내 덴마크어는 아주 충분하다고 생각한다면서, 다만 내가 글을 쓰는 자체에 부담을 갖고 스트레스를 받는다면 그건 다른 문제라고 생각한다고 했다. 교정은 동료들이 봐줄 수 있는 부분이니 그런 문법적 실수는 크게 괘념치 말라면서. 그래서 글을 쓰는 건 좋아하고, 덴마크어 공부를 하면서 일을 하는 거나 마찬가지인 점에서 난 오히려 너무 좋다고 했다. 내 논문 내용에도 관심을 갖길래 간단히 설명을 했더니, 이 부처 업무와도 관계가 있고 내용도 너무 재미있는 것 같다면서 기뻐했다. 덴마크 에너지 협회가 뭔가 직원들관 화합에 가장 큰 초점이 맞춰져있던 것 같은 느낌이라면 (모두 장기 근속하는 사람들이고, 서로 협력이 중요해서 너무 경쟁적인 것 같은 사람은 자기네랑 안맞는다며, 내 학점이 너무 높은 것에 대해서 다소 우려를 하며 관련 질문을 했었다.) 여기는 일이 가장 중요하나 서로 협력한다, 이런 분위기였다. 분위기는 너무 좋아보였다. 일도 재미있을 것 같았고. 우선 인적성 검사 및 아이큐검사를 어느정도는 잘 봐야할 것 같은데, 덴마크어로 봐야해서 짧은 시간안에 얼마나 빨리 풀 수 있을 지 모르겠다. 언어 부분도 평가를 하는데, 덴마크어의 부족으로 인한 부분도 있을테고… 뭐 걱정해봐야 소용은 없으니까. 지난번 덴마크 에너지 협회 면접은 너무 바빠서 아무 준비를 못하고 봤다면 이번엔 통보받고 너무 짧은 기간 후에 면접이 있었고 사이에 미리 잡아놓았던 일정들로 너무 바빠서 준비를 별로 못했다. 에피소드라면 에피소드도 있던게 원래 내가 잘 아는 사람이 요청하는 거 아니면 통역 안하는데, 덴마크에 계시는 동안 나를 잘 챙겨주셨던 연대 선배님이 계셨다. 여기 국립박물관에 교환큐레이터로 나와계셨던 분이었는데, 그분 소개로 국립박물관 지방분원에 관장님 및 큐레이터 분들 이렇게 세분이 오셨다. 당초에 이걸 맡겠다고 했을 때만 해도 문제가 없었는데, 화요일에 금요일 일정을 통보받고 보니 통역 끝나고 아슬아슬하게 가야 간신히 면접을 볼 수 있는 상황이었다. 회의 일정도 길어져서 마지막엔 너무 초조했는데, 속도제한 110에서 140으로 달려가며 시간을 아주 조금 남겨두고 도착해서 면접을 볼 수 있었다. 로비에서 기다리는데 어찌나 긴장이 되던지. 하나의 동영상을 보면서 너털웃음을 지으며 긴장을 싹 풀 수 있었다. 한국에서는 공채 면접 외에는 면접을 본 경험이 없어서 잘 모르겠지만, 여기는 1인 면접에 평균 한시간 가까이 면접을 보는 것 같다. 그리고 우호적인 분위기 속에서 면접을 보고 면접관이 조직에 대해서 왜 채용을 하는지, 무슨 일을 하게 될 건지, 자기는 무슨 공부를 했고 어디서 사는지 같은 것에 대해서 먼저 소개하고 시작한다. 면접자도 자기 소개를 간단히 할 기회를 받는다. 나는 연식이 오래되서 그런지 옛날 취직할 때 같은 긴장감은 없는 것 같다. 그냥 내 소개도 따로 준비하는 건 아니고, 그때그때 상대방의 소개에 비슷한 레벨로 맞춰서 진솔하게 내 생각을 털어놓는다. 그게 내가 면접을 본다면 상대방에게 원하는 바일 것 같기도 하다. 정답은 없겠지만. 우선 주말이 지나고 월요일에 테스트를 봐야겠다. 다른 곳에 지원서도 써야 하고. Spatial data analysis는 내 논문 분석의 주축을 이루는 방법론이기에 하다가 뭔가 잘 풀리지 않으면 방대한 인터넷의 자료에 의존하게 된다. R 프로그램이 끊임없이 성장하고 있는 오픈소스 프로그램이기에 더욱 그렇다. R을 통해 GIS를 이용하고 있어 R과 관련된 GIS 자료를 찾던 중 정리가 아주 깔끔하게 되어있는 Post-Doc의 블로그를 알게 되었다. 도움이 많이 될 자료라 기억해둘 겸 블로그에 기록해둔다. Copenhagen is full of charm when it comes to culture. Culture night is a good example of it. 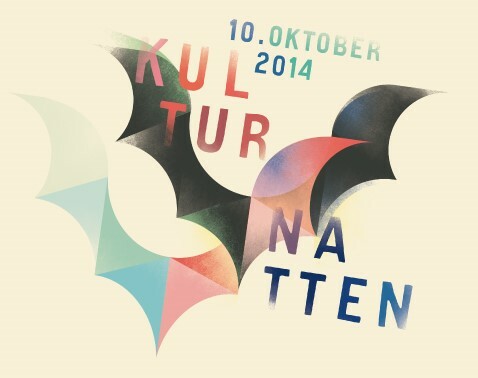 Culture night(Kulturnatten in Danish) is organized on the Friday before autumn vacation week every year. Autumn vacation is called ‘efterårsferien‘ in Danish and it is in the week 42 of the year. If you don’t know what is week 42, you are not Danish at least, since all Danes love week numbers. It used to be the week when people harvested potatoes and children had a vacation from the school and helped their parents. Now kids don’t help parents’ harvesting potatoes and parents are normally not working in the agricultural industry, but they still have autumn vacation at school and a lot of families spend holidays. So the culture night is scheduled in the season that a lot of people can easily enjoy. This year’s Culture Pass Badge image. The first kulture night in Copenhagen was in 1993 where 45 cultural institutions participated. It was known that roughly 4,000 culture pass were sold. (Source: Politiken) So, this year was the 22nd culture night. Museums, libraries, educational institutions, theaters, government organizations, churches, musical and performance venues and many more other institutions representing arts and culture open up to the public from six p.m. until midnight. Many shops or cafes open till pretty late as well. UN also participates in this event and opens up its door to the public and proudly showcase its environmentally conscious building. Plus, all the public transportations are free with the culture pass. All you need to do is to plan ahead, to buy a culture pass and to enjoy! This year it cost DKK 90. I went to the Glyptoteket and enjoyed their Transformation of Classical Sculpture in Color exhibition. You can take a look with a YouTube video clip about what it is like from here. Glyptoteket was so beautiful and magnificent as I was told many times. It was impressive especially with really tall palm trees in the middle of the museum and the exotic atmospheres. The fire station also opened up their station and it was a good experience to sit in the fire engine and to touch those fire extinguishing equipments. I wished there wouldn’t be any big fire that day. And at the Politiken’s book store, there was a meeting with French authors and other programs continued. Post and Tele museum was on my wish list and I made it this time. If you live in Denmark or visit Denmark this season of the year, you should try this culture night event. Try to find out what could be your favorite stuff. Last year, I discovered my favorite chocolate shop, Hotel Chocolat, and this year, Glyptoteket. Wouldn’t it be fun to add new things onto your cultural favorite experience list? 코펜하겐은 다채로운 문화 행사로 매력을 뽐내는 도시입니다. 문화의 밤 행사는 좋은 예시이지요. 문화의 밤 행사(덴마크어로는 ‘쿨투어냍은’로 읽습니다. )는 매년 가을방학이 시작하는 주의 직전 금요일에 개최됩니다. 덴마크어로 가을방학은 ‘efterårsferien’이라고 하는데, 매년 42번째 주가 바로 그 때입니다. 42번째 주가 언제인지 모르신다면, 당신은 덴마크인이 아닙니다. 덴마크인은 주 번호를 꿰고 있죠. 원래는 감자를 수확하던 주가 42번째 주라고 합니다. 그때는 부모의 감자 수확을 도우라고 학교가 방학을 했죠. 요즘은 애들이 부모의 감자 수확을 돕지도 않고, 부모도 농업에 종사하는 경우가 드문데도 불구하고 학교는 여전히 가을방학을 하고, 많은 가족이 이때 휴가를 떠납니다. 문화의 밤 행사는 많은 사람이 손쉽게 즐길 수 있도록 이 가을방학 시즌에 맞추어 개최되는 것이죠. 최초의 코펜하겐 문화의 밤 행사는 1993년, 45개 문화관련 단체가 참여해 이뤄졌습니다. 약 4천매의 입장권이 판매가 되었다고 합니다. 올해는 그러니까 22번째 행사인 셈이죠. 박물관, 도서관, 교육기관, 극장, 정부기관, 교회, 음악 및 기타 공연장, 예술과 문화를 대표하는 각종 단체가 오후 6시부터 자정까지 대중에게 개방됩니다. 많은 상점과 까페들도 늦은 시간까지 영업을 하지요. UN 또한 이 행사에 참여해 대중에게 개방을 하며, 환경을 고려해 디자인된 기관 건물을 자랑스럽게 소개합니다. 또한 코펜하겐 시내 모든 대중교통수단은 입장권만 지참하면 모두 무료입니다. 저는 글륍토테겔(Glyptoteket)에 가서 색상으로 새롭게 태어난 고대 조각상 전시를 봤습니다. 유튜브에서 해당 전시에 대해서 소개하고 있으니, 한 번 보세요. 글륍토테겔은 듣던대로 정말 아름답고 웅장했습니다. 박물관 한가운데에 있던 거대한 야자수들과 이국적 분위기에 감탄을 했습니다. 소방서도 대중에 개방을 했는데, 소방차에 앉아서 소방기구들을 만져본 게 참 좋은 경험이었습니다. 이 날 시내에 불이 안나기를 바랐습니다. (아마 소방서가 바빠서 불끄기 힘들었을테니까요.) 보수신문지 Politiken에서 운영하는 서점에서는 프랑스 작가와의 만남 시간이 준비되어 있었고, 다른 프로그램들도 계속 진행되는 듯 했습니다. 우편 및 전신 박물관은 그간 꼭 가보고 싶은 곳이었는데, 이 날 가서 관람을 하고야 말았습니다. 만약 덴마크에 살거나, 이 기간에 여행을 한다면, 문화의 밤 행사는 꼭 참여해보세요. 당신이 가장 좋아하는 것을 발견할 지도 모르잖아요? 저는 작년 이 행사에서 지금 제가 가장 좋아하는 초콜렛 가게인 Hotel Chocolat를 발견했고, 올 해는 글륍토테켈을 발견했지요. 가장 좋아하는 경험리스트에 새로운 것을 추가할 수 있다면 정말 즐겁지 않을까요? I brought my puppy, Boree(meaning barley in Korean and Boree’s color is like barley’s), from Korea and here’s how to bring your puppy to Denmark. It’s more easier to bring your puppy from EU countries than third countries apart from EU. This information is focused on bringing one from the 3rd countries(which was not even listed in the Annex 2, Part B, section 2 and Part C to EU Regulation 998/2003/EEC to be more difficult) but you can refer the information, bringing one from EU, from the same website. Information regarding traveling with living animals to Denmark is provided by the Ministry of Food, Agriculture and Fisheries at its website. I had to prepare a Veterinary Certificate and get it signed by a competent authority in Korea. The EU form is given in the page above and here is the link of the form. First thing to do is having microchip implanted into your puppy or getting the tattoo. I chose to have a microchip implant. It can be done at your local veterinary clinic. The vet will register the pet information to the relevant authority. The chip should better be conform with the ISO standard so that the information can be read wherever you go. Then your puppy should have valid rabies vaccination. Boree had already been vaccinated 10 months back which was less than a year, a regular cycle for rabies vaccination. However she had to get re-vaccinated before the regular cycle in due since she didn’t have a ID microchip yet. So the chip has to be implanted first and the vaccination comes later. When it gets vaccinated, the chip information will also be mention on the certificate where the vet signs on. Then the blood sample should be tested by an EU authorized labs. Make sure that the blood sample be drawn at least 30 days after vaccination. Here is the list of the EU authorized labs in 3rd countries. There are chances that your vet doesn’t know where are the authorized labs like mine didn’t. So I had to give the contact information to the vet. In Korea, Animal and Plant Quarantine Agency(QIA, http://www.qia.go.kr/) provides the testing services. The result of the rabies antibody level test must be at least 0,5 IE/ml. The animal can only enter Denmark after 3 months after the date when the blood sample was drawn and complying the testing criteria of rabies antibody level. It means that it takes minimum 4 months after rabies vaccination. If you plan to travel with your puppy, make sure that your time frame could work with it. And when you book a ticket, make sure with airlines that you are traveling with that you are accompanying your puppy and if the aircraft is capable of carrying it. Some airplanes don’t have the space for pets so chances are that you should change your flight schedules. Boree was lucky to fly without problems. Since there was no direct flight from Korea to Denmark, she also had to transit at the Schipole airport where she got on board with fellow human passengers(though she was covered with a big blanket not to be seen by them.) A cage would be considered as an extra luggage no matter how light it is. Anyway, back to the procedures, in Korea, one has to make a reservation for quarantine services prior to the departure. They review the rabies vaccine certificates, health certificates(not mandatory) and check up pets health conditions by looking then sign on the Veterinary Certificates that one has prepared. It doesn’t take a long time. One can do it one or two days before the departure since it could be a hassle to be done on the departure date. So I did it a day before. Contact Border Inspection Post before you fly. You could just email them. I tried to call many times but failed. But one day right after I emailed them, they replied. Here’s the contact information. If the puppy is lighter than 5 kgs including the cage weight, it can fly with you under the seat. But Boree was a bit tall to stay under the seat more than 10 hours, so I choose to buy a big cage where I could put her favorite blankets and cushions together and she could rest. It must be stressful in any case, but she had some knee joints issues and I knew that she couldn’t handle 10 hours under the seat. Impossible. Don’t feed your puppy too much before flying so that it won’t throw up. When you land at the Kastrup airport, go to the odd-sized luggage pick up desk and go through the red custom line. Then they will cut the seal on the cage, check documents and scan ID microchip and release your puppy. 덴마크 애완견 동반에 대한 규정은 농수산식품부에서 제공하고 있습니다. 저는 한국에서 출국하는 것이니 당연히 한국 관련 당국에서 서명한 검역증명서(Veterinary Certificate)를 받아야 했죠. 링크의 EU 양식에 본인이 기재할 부분만 기재해서 검역 당일에 지참해 가시면 됩니다. 나중에 여기에 검역당국에서 담당 검역 수의사가 작성할 부분을 추가 작성해 서명날인함으로써 검역증명서가 발급됩니다. 정상적으로 덴마크에 애완견을 데리고 가기 위해 몇가지 충족할 요건이 있습니다. 한국의 경우 부속서 2에 포함되지 않은 국가라 요건이 가장 복잡하죠. 첫번째 할 일은 우선 애완견에 마이크로칩을 삽입하거나 문신을 하는 것입니다. 신분 증명용인데, 전 마이크로칩 이식을 선택했어요. 동물병원에서 할 수 있고, 동물병원에서는 가까운 구청에 해당 칩 정보를 신고합니다. 최근 우리나라도 마이크로칩 이식이 의무화되었던 것 같은데요, 약간의 등록비가 듭니다. 칩 이식때는 반드시 ISO 기준에 부합하는 칩을 삽입해야 다른 나라에서 인식할 때 문제가 없습니다. 아마 이제는 전부 ISO 규정에 부합하는 칩만 사용하는 것으로 알고 있어요. 혹시나 싶어 동물병원에 꼭 그래야 한다고 말씀을 드렸었습니다. 그리고 나서는 광견병 백신 접종을 해야 해요. 보리는 10개월전에 접종을 했고, 다음 접종시기까지 2개월이 남아있었지만, 그 전 접종이 칩 삽입 이전에 이뤄진 것이라 의미가 없어서 다시 접종을 했어요. 접종하고 나서 동물병원에서 발급하는 광견병 백신 접종 확인서에는 ID 칩 번호를 적어줍니다. 이 접종확인서 상 날짜로부터 30일 이후에 체혈을 해야 해요. 혹시나 싶어 31일 이후에 했습니다. EU 승인 실험실 리스트에서 승인유효기간이 만료되지 않은 곳인 농림수산검역본부(QIA, http://www.qia.go.kr/) 연락처를 동물병원에 전달했습니다. 잘 모르는 병원도 많으니, 본인이 공부를 열심히 해서 중간에 절차가 꼬이지 않도록 하는 게 좋겠죠. 실험 결과가 EU 기준치에 맞지 않으면 다시 접종하던가 해야 하나봐요. 보리는 아무런 문제가 없어 정상적으로 절차를 진행했습니다. 3개월간 기다리는 이후는 혹시 있을 지 모르는 광견병 발병 여부를 확인하기 위함입니다. 체혈 이후 3개월이고, 체혈 1개월 전 접종을 해야 하니, 검역까지 최소 4개월이 걸리는 점을 고려해서 출국 전 준비를 해야합니다. 그리고 항공권 예약할 때, 항공사에 애완동물과 여행을 같이 할 것임을 통보해야 하고, 예약한 비행기가 애완동물 수용이 가능한지 여부를 확인해야 합니다. 모든 비행기가 다 애완동물 수용이 가능한 건 아니라네요. 공간이 없는 기종도 있고, 있다고 하더라도 그 공간이 작아 1~2마리만 수용 가능한 경우가 있다고 합니다. 저처럼 직항이 아닌 경우, 연결편까지 모두 확인을 해야 하죠. 따라서 한개의 일관된 항공사로 끝까지 비행하는 것이 안전합니다. 암스테르담 스키폴 공항에서 환승하면서 보리는 코펜하겐까지 1시간 반은 큰 담요를 케이지에 뒤집어 씌운 채로 비행기 맨 뒷편에 승객과 함께 탑승했습니다. 그리고 케이지는 무게에 상관 없이 화물로 실을 경우 추가 수하물로 취급되어 해당 비용이 발생합니다. 다시 검역 절차로 돌아가면, 출국 전에 미리 출국검역신청 예약을 해야 합니다. 검역시 백신 증명서, 항체 검사 결과, 건강증명서(이건 의무사항은 아닌데, 동물병원에서 발급 받았습니다. 일부 국가에서는 요구하는 경우가 있나봅니다.) 등을 보고, 임상 검사를 한 후에 미리 본인 작성부분을 다 작성해서 준비해간 검역증명서에 검역 담당 수의사가 서명을 해줍니다. 이는 하루나 이틀 전에도 미리 할 수 있습니다. 출국 당일 할 일도 많은데 정신이 없을 수 있어 저는 미리 했습니다. 이 또한 예약은 농림수산검역본부 홈페이지에서 할 수 있습니다. 출국 전에 또 할 일은 덴마크 국경검사포스트에 연락을 해두는 것입니다. 이메일이 편합니다. 전 전화로 몇번 하다가 실패하고 이메일을 보내니 바로 다음날 답장이 왔습니다. 동반할 동물 종류와 입국 시점 등을 보내두니 검역 포스트에 연락해두겠다고 회신이 왔습니다. 연락처 정보는 다음과 같습니다. 만약 애완견이 케이지 무게를 포함해서 5킬로그램보다 가벼우면 주인과 함께 기내에 탑승해 앞좌석 밑에 들어갈 수 있습니다. 그러나 보리는 다리가 긴 편이고 무릎 관절에 문제가 있어 무게상으로 가능하다고 해도 그 아래에서 10시간 비행하기엔 아무리봐도 무리였습니다. 그래서 큰 케이지를 사서 보리가 좋아하는 담요와 쿠션과 함께 화물칸에 실었습니다. 탑승전 최소한 4시간 이전에 먹거나 마시는 것을 완료하는 것이 바람직합니다. 토할 수 있어선데요, 양도 많이 주지 않는게 좋습니다. 코펜하겐 카스트룹 공항에 도착하면 비규격 사이즈 수하물 코너에서 케이지를 찾아서 통관시 신고할 것이 있는 빨간 줄로 통과해야 합니다. 그러면 담당자가 관련된 케이지에 봉인을 열고 마이크로 칩을 스캔하고 서류를 점검한 후에 애완견을 넘겨줍니다. 얼마나 보리가 낑낑대던지요.